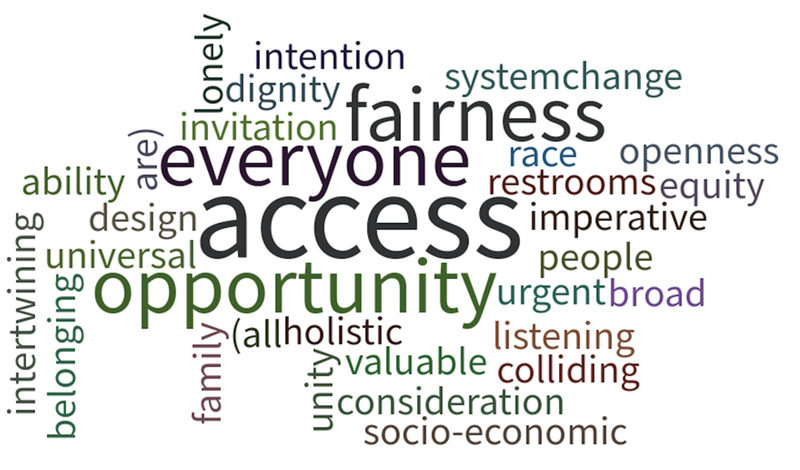 Dare2Dialogue is a discussion surrounding a community topic and proposed strategies to addressing issues of inequality. Awareness is the first step to influence thought processes when it comes to promoting change for a more inclusive Cincinnati. The goal of Dare2Dialogue is to bring awareness and engage in dialogue around challenging topics to promote change. The purpose of the community discussions on inclusion was to bring awareness to the lack of inclusion of individuals with a disability within Cincinnati. This is achieved by having an individual who lives with a disability share their story to highlight challenges and promote dialogue among those who may have the privilege of not living with a disability. Having a community discussion does not only promote awareness but strives to remove the negative stigma that can be associated with disability. Do you have an idea for a community discussion?